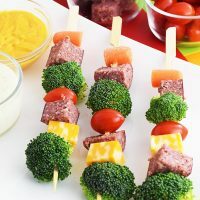 Salami-Babs are skewers of salami or summer sausage, broccoli, carrots, tomatoes, and cheese cut into bite size chunks. 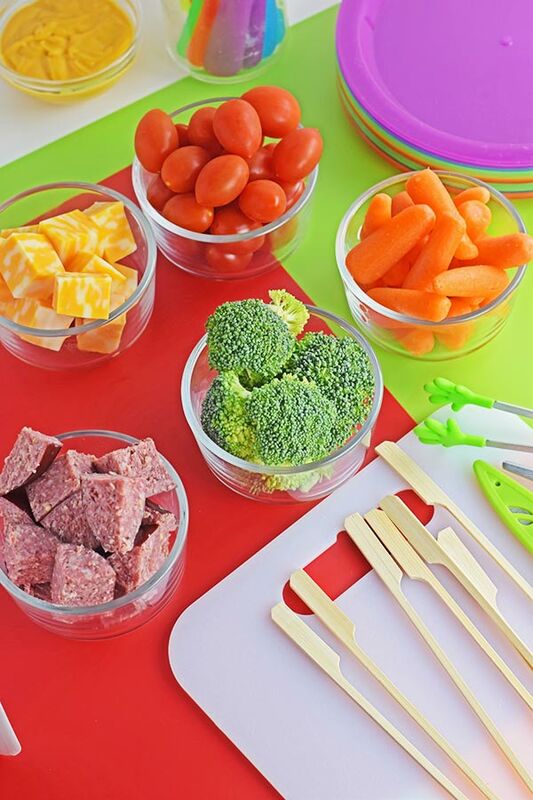 This super fun food is perfect for bringing the kiddos to the table. *This post is sponsored by the Beef Checkoff in conjunction with a social media campaign through Sunday Supper Media. All opinions are my own. Summer is here, and the kiddos are home. It’s time for easy, delicious, and nutritious ideas for the family. I am working with the Beef Checkoff, recreating one of their Kid Friendly Beef Recipes to share with you today. 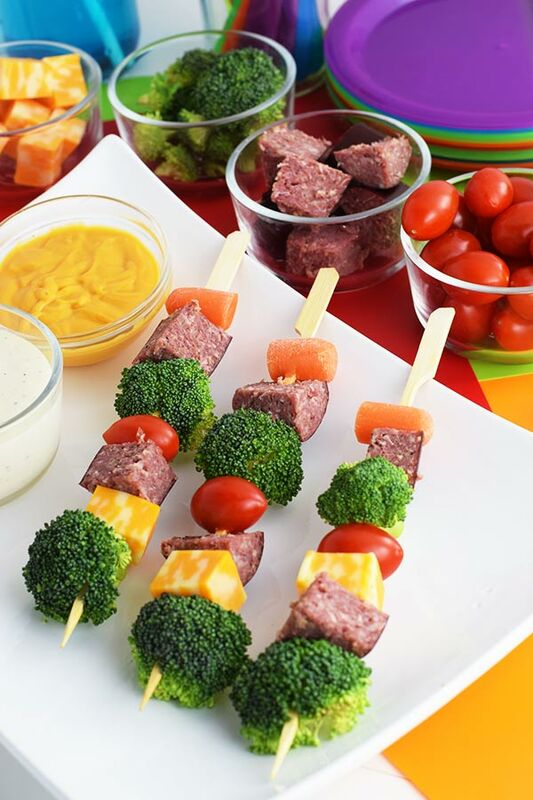 These Salami-Babs are the perfect bite size kid friendly food. They are full of color that will grab the young ones interest and have them wanting to eat more fruits and veggies! Encouraging kids to eat healthy can be a challenge. I don’t know if it’s this way for your kids, but with my son the sight of anything green left him screaming a BIG FAT NO! Therefore, I had to come up with fun ways to coax him into the idea! He was a meat “Beef” lover, so I always used that as a starter, like with these skewers. I used his favorite salami or summer sausage as the base and filled up the skewer with various colors and flavors for him to try. If your kids like to be involved in the kitchen, these Salami-Babs are a fabulous idea, the kids can help in “building” them. I like to gather a tray arrange the veggies so that they can put them together. It’s fun, they feel like they are helping – a big win. Then they get to dive into the perfect Kid Pleasing Beef Salami-Bab! Step 1. Gather all your ingredients and cut them into chunks or bite sized pieces. 6 ounces beef salami or summer sausage, cut into 3/4-inch chunks. Step 2. 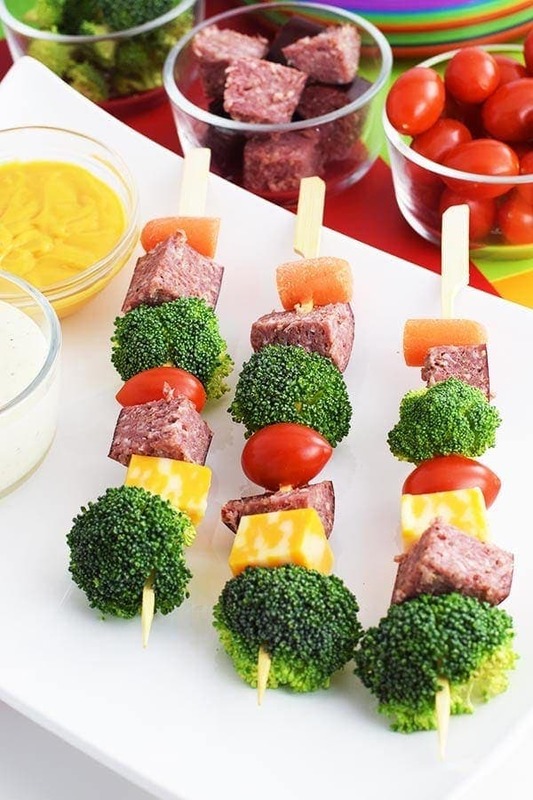 Thread pieces of salami onto skewers, alternating with cheese and vegetables. Arrange on a plate and serve. Offer a variety of colors on the plate. Create contrast with the colors on the plate. Arranging foods in an orderly way by using something that will keep the foods separate. Let the kids help and get involved. Put with foods they already love. Serve with something they can dip the food in that they love. Kids are so smart and their minds are like sponges. The more we introduce a variety of foods to them the more they grow to love them. Don’t give up if they turn their nose up to something. Just keep sneaking it onto the plate. Encourage them to keep trying new things. Eventually they will grow to love lots of healthy and nutritious foods! Or you may be lucky, and they love them from the start! 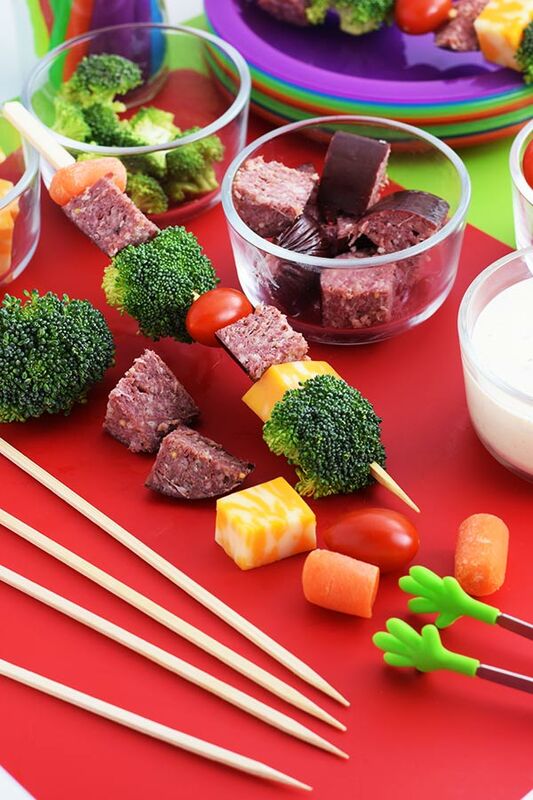 Thread pieces of salami onto skewers, alternating with cheese and vegetables. You can find this at Weekend Potluck or Meal Plan Monday. I know this is for kids but it’s a great idea for me too. I try to stay on a low carb way of eating and this would work perfectly for me. And of course my son would love it. He loves salami and cheese and believe it or not broccoli too! Great idea! I think it’s for kids and the kid at heart! I love eating fun food on a skewer too!